The Electric Light Orchestra Greatest Hits Tour featuring the fabulous ELO Experience is coming to Glasgow’s King’s Theatre this September! 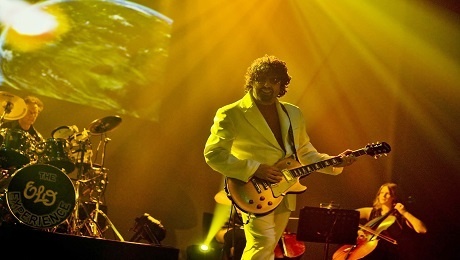 The amazing ELO Experience is coming to Glasgow’s King’s Theatre on the 12th September 2019. In 1970 in a city called Birmingham in England a musical super power was established. Jeff Lynne and the Electric Light Orchestra became one of the world’s best known and greatest recording bands. Packing stadiums throughout the world ELO played sell out tours such as the Face the Music tour, Out of the Blue tour and Time tour to name just a few. A seemingly endless list of hit records stormed the charts throughout the world. Radio broadcasts worldwide played hits such as Living Thing, Telephone Line, Wild West Hero, Sweet Talking Woman, and perhaps their most famous – Mr Blue Sky.